ems to Get: Morphball, Bombs, charge, Wave, Gravity Suit, 2 Missle Tanks (70 each pack) 2 Super Missle Tank, 2 E-Tanks (Gives a neeto amount of health each...) Power Bombs (1 Tank) And Speed Booster. The first couple rooms were cool. I enjoyed figuring out how to get to the first few items. 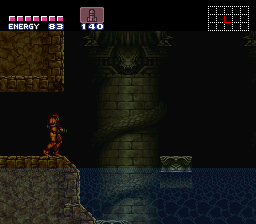 The SOTN tiles were great. 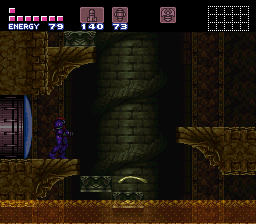 After Fighting Ridley though I felt like the remainder of the hack felt rushed and less care was taken to give it a good solid ending. I kinda felt slapped together.